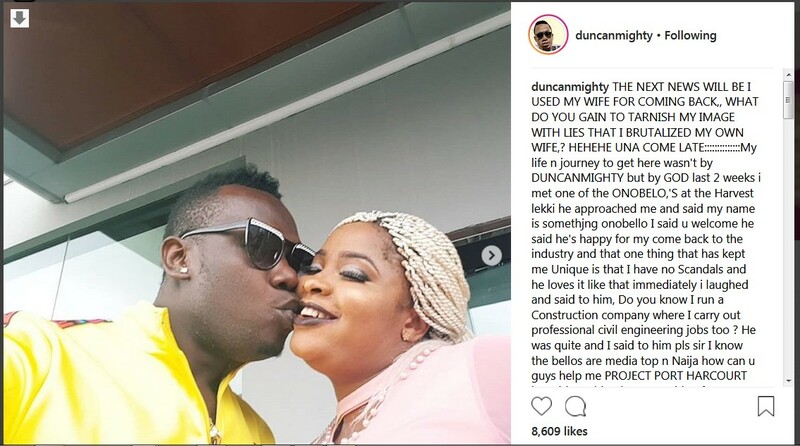 Duncan Mighty has denied the reports that he assaulted his wife and went ahead to reveal the people behind the malicious story. 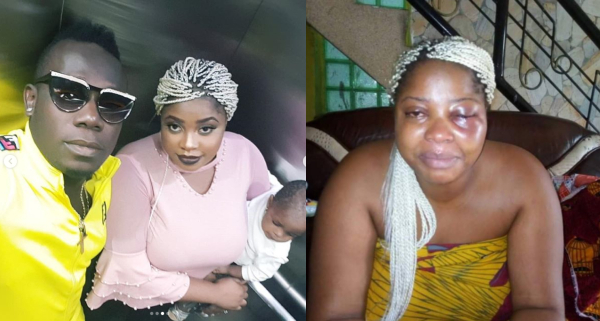 “THE NEXT NEWS WILL BE I USED MY WIFE FOR COMING BACK,, WHAT DO YOU GAIN TO TARNISH MY IMAGE WITH LIES THAT I BRUTALIZED MY OWN WIFE,? HEHEHE UNA COME LATE. Do you know I run a Construction company where I carry out professional civil engineering jobs too ? He was quite and I said to him pls sir I know the bellos are media top n Naija how can u guys help me PROJECT PORT HARCOURT he said anything bro we waiting for my TELEVISION STATION in 2016 I was made the YOUTH BRAND AMBASSADOR FOR FOCCIMA.